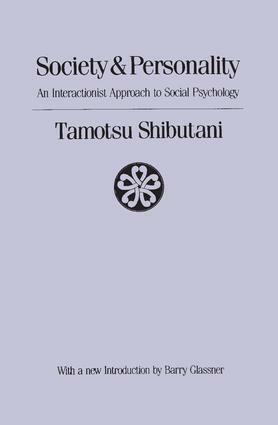 Being an "interactionist" approach to social psychology, Society and Personality deals with people, not as isolated individuals, but as participants in groups. The aim of the book is to help the reader develop an orderly perspective—a consistent point of view from which to see his (or her) own conduct and that of his (or her) fellows. Propositions about behavior seen from the viewpoint are presented, and relevant evidence, both descriptive and experimental, is examined and evaluated. The author draws upon the two great intellectual traditions of pragmatism and psychoanalysis, and attempts to integrate them into a single, consistent approach. All concepts are reduced to behavioristic terms—defined always in terms of what people do. In this way, it is possible to draw freely on these two schools, and at the same time, avoid much of the jargon of both. Other approaches to the study of human behavior are frequently mentioned and sometimes discussed, but the objective is to give the reader one perspective rather than confuse him with many. Of course, this standpoint is presented as only one of many possible ways of looking at people. Although the book's basic ideas are drawn from two main schools of psychological thought, relevant material has been gathered from other sources as well—sociology, ethnography, linguistics, experimental psychology, and clinical data from psychiatry. One very important extra feature is the List of Personal Documents, compiled by the author to guide interested readers to first-person accounts—biographies, diaries, clinical records—each of which provides a valuable record of human experience.